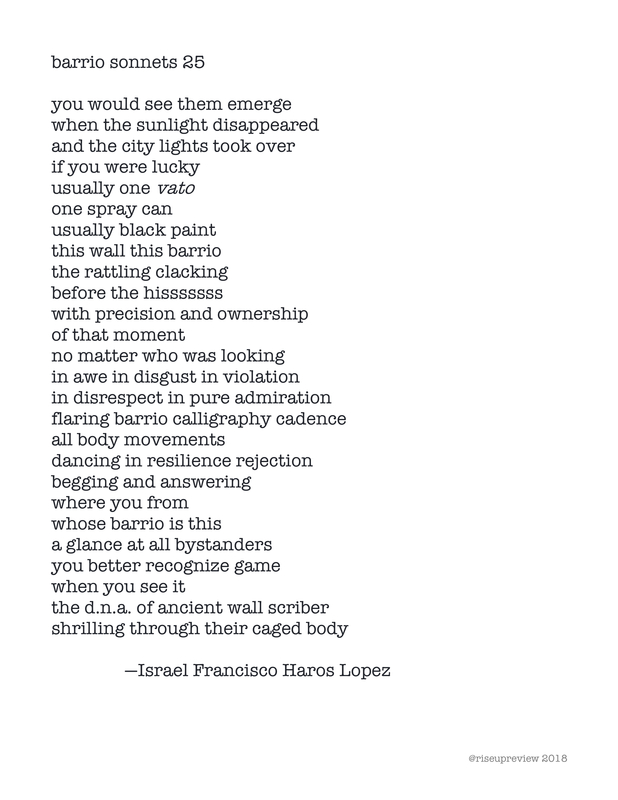 Israel Francisco Haros Lopez was born in East Los Angeles to immigrant parents of Mexican descent. He brings his firsthand knowledge of the realities of migration, U.S. border policies, and life as a Mexican American to his work with families and youth as a mentor, educator, art instructor, ally, workshop facilitator and activist. Even with a 1.59 High school G.P.A., Israel managed to go back to the community college and raise his grades to get accepted into U.C. Berkeley and receive a degree in English Literature and Chicano Studies followed by an M.F.A in Creative Writing. At formal and informal visual art spaces, Israel creates and collaborates in many interdisciplinary ways including poetry, performance, music, visual art, and video making and curriculum creation. His work addresses a multitude of historical and spiritual layered realities of border politics, identity politics, and the re-interpretation of histories.